Many Jacobite songs are found in the Irish song tradition in both English and Irish. Here Len has taken a text in English and borrowed the refrain of the Irish Jacobite song – Mo Ghile Mear by the eighteenth century Munster bard Seán Clárach Mac Domhnaill. The maiden fair of the opening line, now old and grey, is Éire and in the song she laments the loss of her lover, Bonnie Prince Charlie, exiled across the sea in his youth. The song air is also found in Scotland. The Séarlas Óg (meaning Young Charles in Irish) refers to Charles Edward Stuart – Bonnie Prince Charlie (1720 – 1788) and Mo Ghile Mear of the refrain can be translated as – my bright hero – also Bonnie Prince Charlie. Len added the ‘peace’ conclusion from Robert Burns’s song of 1794 – On the Seas and Far Away. Her deeds she’ll praise, his worth she’ll prove. Ó luadh i gcéin mo ghile mear. This love song has a question and answer pattern which is found in the older type of Anglo-Scots ‘riddling’ ballads. In fact there is a Scots ballad, The Trooper and the Maid (Child no. 299), of similar theme from which the Anglo-Irish form may well derive. A similar courtship duet also appears in the Seduction Song Rolling in the Dew (No. 189, Kennedy) and in Where are you going to, my Pretty Maid? The age of our incomparable maiden is given as ‘sixteen Monday morning’, but other versions, and that used as a convenience title by scholars, have ‘seventeen come Sunday’. It is a classic encounter, with the stage just right for rural romance: a bright May morning, the girl with shining hair hanging down over her shoulders, and the boy invited to return later when the moon shines bright and clearly. In the lingua franca of British folksong, ‘she leads his horse to the stable’. For this installment of the SOTI Singer Q&As, I’m happy to introduce an audio component. I think hearing the singers in their own voices adds a great deal. Please forgive a bit of a digital sound that can result from recording from Skype, but it’s still a fair deal better than the sound over a phone. 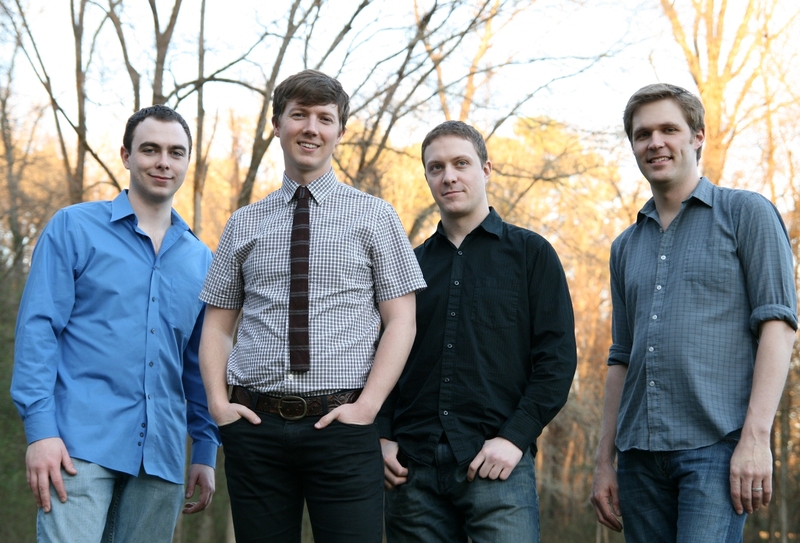 Brian Hart (second from left) pictured here with members of his band Bua. In 2004, Brian Hart (Brían Ó hAirt) was the first American to win the ballad singing competition in the senior division at the All-Ireland Fleadh. Brian is a huge advocate for the Irish language, teaching the language throughout the U.S.A. and through his involvement with the Language Hunters. In fact, Brian came to Irish song through his interest in the language. I first met Brian through his role as a teacher of Irish at the Indiana Celtic Communities’ first Celtic Culture Weekend in 2009, and I have been inspired by his love of the language, the music, and the culture ever since. He has just completed another successful tour with the great singer from Northern Ireland, Len Graham, with whom he has been singing for some time. The two have recorded a CD through the efforts of a kickstarter.com campaign in 2012. I’m very happy include to Brian through this series on SOTI.